Protect delicate fabrics and stop socks disappearing, wherever it is that socks go to at laundry time with this Mesh Bag. Made of polyester materials, mesh bag allows suds to rinse easily. 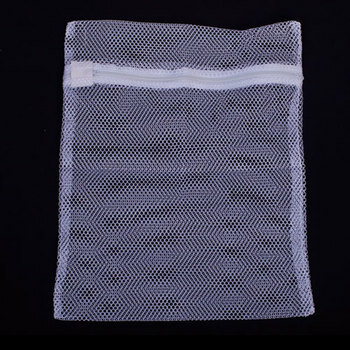 The Mesh Lingerie Laundry Bag also prevent against clothes getting twisted in the machine and help prevent creasing. This Delicates Laundry Bag has a quality zipper closure. Simply place delicate undies, those socks, or garments with lacy or delicate detailing into the bag and pop in the washing machine. It is brand new and in excellent condition.